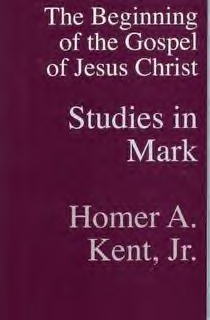 “Studies in Mark,” the newly-rewritten and expanded commentary on the Gospel of Mark by Dr. Homer Kent, Jr., is now available for purchase online at www.bmhbooks.com. The 248-page commentary is the first of a 15-volume matched set BMH is producing entitled The Kent Collection. Cost is $14.99. IM TELLING YOU HOW....Do you know or have you ever heard of Gotting Money from free grant money ..If you are interested in finding out how to get more info on free grant money visit us at http://allgrants4u.com... There are so many things you can get grants for.. Homes, school, work, business, college..ect.. Find out how everybody is getting money from free grant money today... Quit living in poverty educate yourself and improve your life..